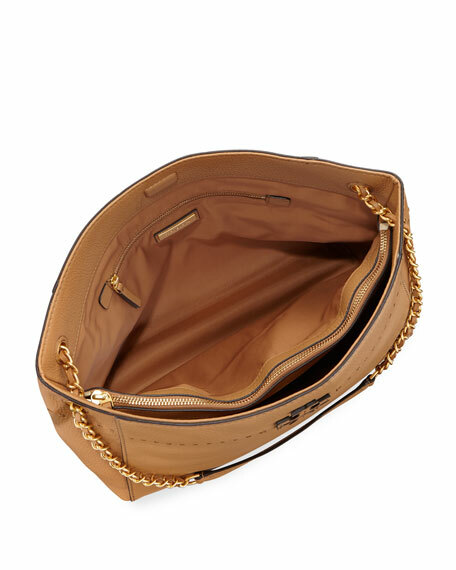 Tory Burch slouchy tote bag in pebbled leather with tonal stitching. Woven chain and leather top handles, 9" drop. Center zip divides interior; fabric lining. 10"H x 13.4"W x 6"D.
For in-store inquiries, use sku #2269899.